the Better the Chances Are of People Finding You. 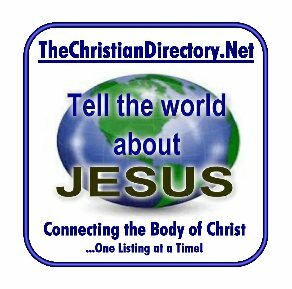 * Please Note: All listings are subject to approval at the sole discretion of TheChristianDirectory.Net website administrators. Any listing submissions can be rejected and/or removed for any reason, at any time and without explanation. If any paid listing is ever removed, partial or complete reimbursement may be in order for any remainder of future fees, on a pro-rata basis. The one (1) month free "Premier" ("searchable") General Listings start on the date of approval and end in thirty (30)-calendar days. before they will be available for public view. Limit of One Free "Basic" Listing Per Individual or Entity. be displayed publicly in our directory listings.